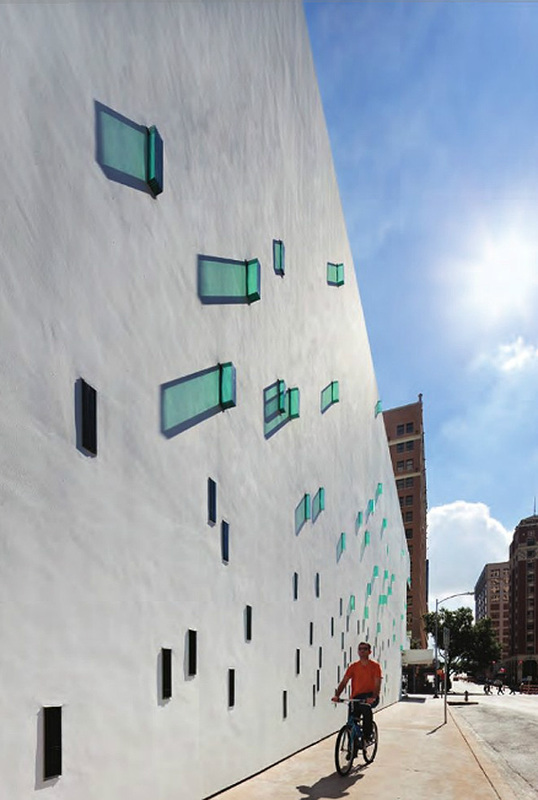 I am consistently drawn, unknowingly, to the work of LTL Architects. The Arthouse at the Jones Center in Austin, Texas is no exception. 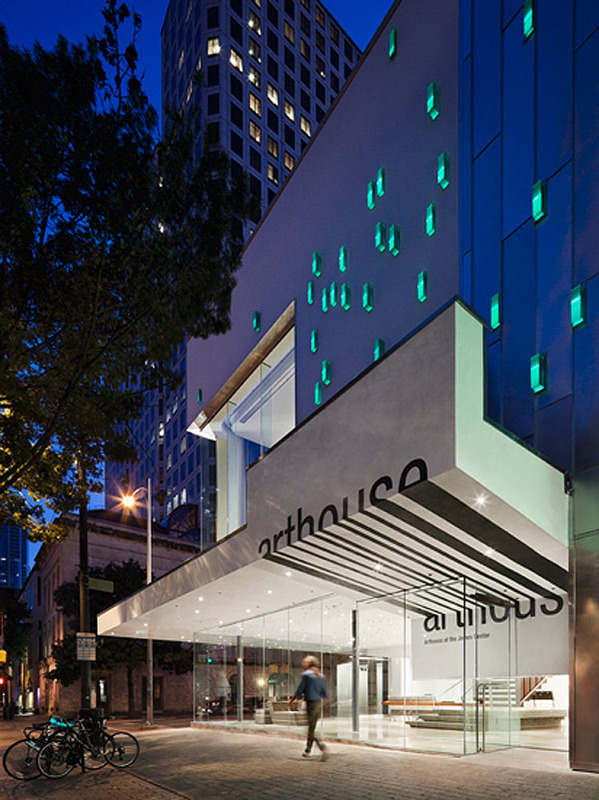 Looking around for interesting art, I came across the Arthouse’s website and spotted their recent renovation with its protruding, aqua-tinted, translucent glass rectangles that add color and texture to the white façade through to the interior. Illuminated by LED lights at night, the glass units especially animate the street view after dark. An expansion of the existing contemporary art space, and keeping with many of the original architectural qualities of this 160-year-old building (the first 3-story brick building in Austin, that once housed a theater and later a department store) LTL (Lewis.Tsurumaki.Lewis) Architects implemented a series of integrated tactical additions, creating a “visual dialogue between the art and the surrounding urban environment.” The original Queen Theater’s murals are exposed, as well as the wooden ceiling and steel trusses. Historical and contemporary features are cleverly intertwined throughout. The grand central staircase, made of wood, is dramatically suspended 35 feet down from the ceiling. In addition, a beautiful wood roof deck with laminated light boxes provides a movie screen and panoramic views of downtown Austin. Looks like a lovely space.